NCRMIDP condemns forceful return of Nigerian refugees from Cameroon – Royal Times of Nigeria. The National Commission For Refugees, Migrants and Internally Displaced Persons has condemned the forceful return of Nigerian refugees from Cameroon which is against international laws. 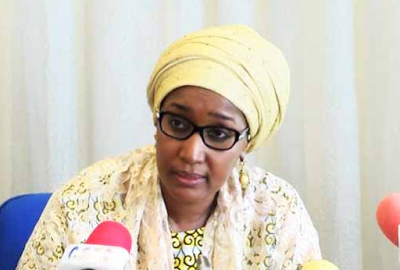 The Federal Commissioner of the commission, Hajia Sadiya Umar Farouq, in a statement said it is unfortunate that Cameroon has continued forceful return of Nigerian refugees even after signing the tripartite agreement with Nigeria and the UN which seeks to ensure the safety, proper handling as well as voluntary return of Nigerian refugees who are in that country following the Boko Haram crises. She also said that the parties agreed to provide people wishing to return with clear information on the situation prevailing in their areas of return in order to make a well informed and voluntary decision. While restating the commitment of the National Commission for Refugees, Migrants and Internally displaced Persons to the protection of its persons of concern,the Federal Commissioner, also expresses readiness to facilitate their return in safety and dignity and urges Cameroon to respect and observe the international protection principles.